"A Dating Simulator that takes some bizarre twists!" Don't be fooled by the title of Relatable Dating Sim, whilst it might at first glance seem like a normal dating sim or visual novel, it soon turns in to something very different and strange! You start out on a seemingly normal date with a girl you like named Emily and have a very pleasant conversation, at this point you can also choose what you would like to talk about and where the conversation goes, one option is rather rude and when playing through this can set off a series of very strange events, the good thing about the multiple choice aspects is that you can go back and replay the game taking different options to see if it still has such a bizarre outcome. 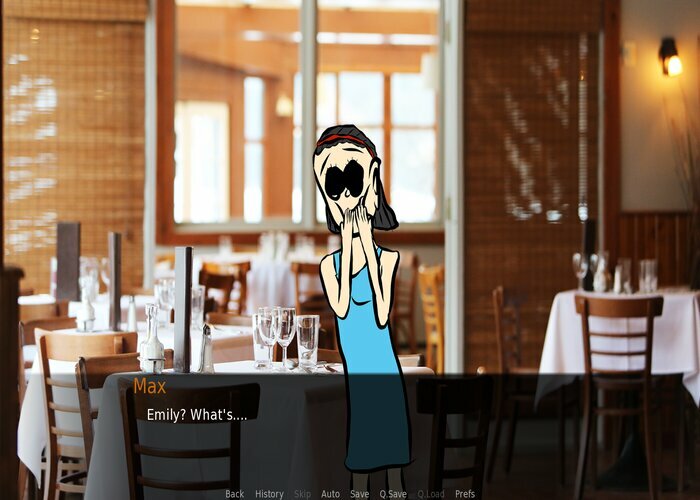 Relatable Dating Sim has many unexpected twists and turns, and for a game that the developer made as a side project as more of an experiment of what they could prroduce it is actually a very enjoyable game which at times is both funny and scary and always incredibly weird with a nice dose of humor. 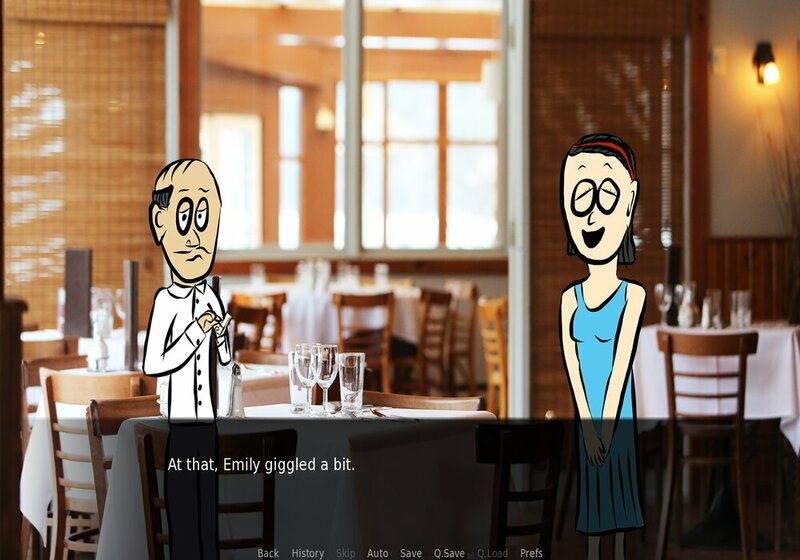 The stock backgrounds are very fiting and the animations is simple yet enjoyable, if you are in the mood for a very odd dating simulator then you can download Relatable Dating Sim here for free.